I like to keep it simple with cocktails. No fancy alcohols, no exotic ingredients. 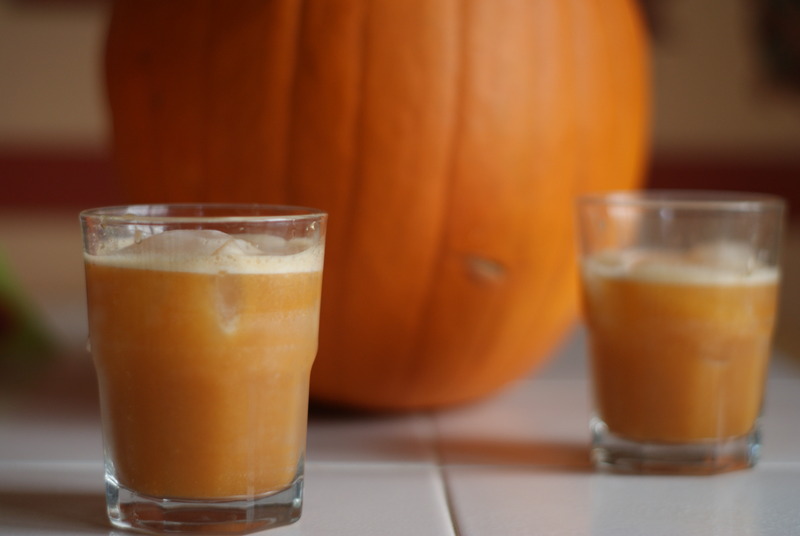 This Pumpkin Cider Cocktail from Food Mayhem fit the bill. 2. 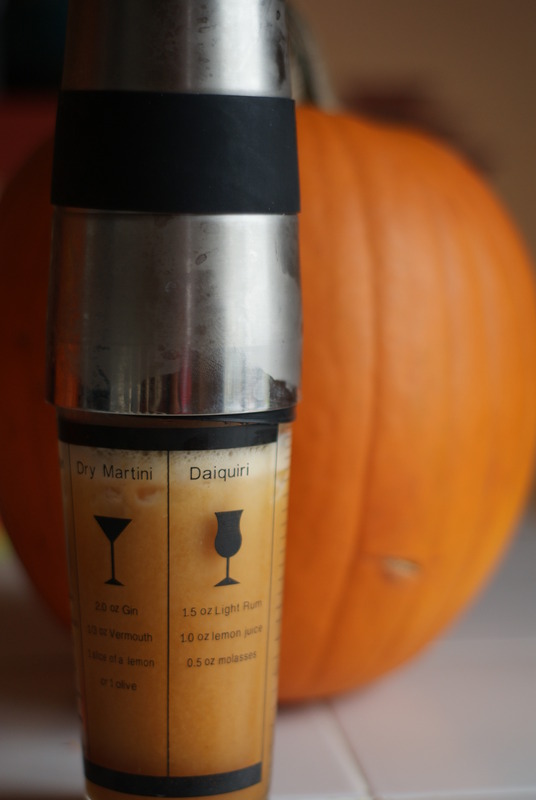 Pour mixture into an ice-filled cocktail shaker. Add rum and apple cider. Shake vigorously to combine. 3. Strain into a champagne flute or cordial glass. (Or mason jar if you are feeling shabby chic) Garnish with a stick of fresh ginger. I thoroughly loved this drink. Sarah did as well, she especially liked that it wasn’t too sweet. The Pre-Dinner version was made with Bacardi Rum, whereas the Post-Dinner version was made with Kraken Spiced Rum. I preferred the extra spice that the Kraken brought. Our guests liked the drink as well. I highly recommend this cocktail and look forward to having it again. P.S. Drink responsibly and be over 21 years of age!